Senator Trent Lott said Wednesday that he would try to convince Russian lawmakers that American missile defense system, that is planned to be located in Poland and Czech Republic, poses no threat to their country and that concerns about the project were "a relic of Cold War thinking." Lott and Senator Ben Nelson arrived at Russia's Federation Council, the upper house of parliament, for the start of two days of talks with officials about strategic and economic issues. The discussions come a time when many analysts say relations between the two nations are at their lowest point since the Soviet era. On Tuesday, Russia tested a new multiple-warhead, intercontinental ballistic missile, and President Vladimir Putin warned that the planned U.S. missile shield for Europe would turn the region into a "powder keg." U.S. President George W. Bush, Secretary of State Condoleezza Rice and Secretary of Defense Richard Gates have all tried to reassure the Russians that the missile system is aimed at preventing Iran from someday threatening Europe. 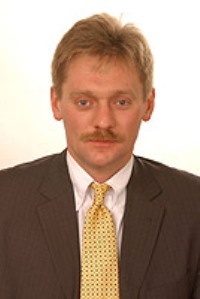 "We are still convinced that the only target of that shield would be not the purely hypothetical threat that might come from Iran or some other remote state, but the only real target will be our country," Kremlin spokesman Dmitry Peskov told The Associated Press Tuesday. Lott and Nelson said these concerns were unfounded. "This is a relic of Cold War thinking," Lott told reporters. "This is about defensive capability, not about offensive strikes ... I thought we were over that." Nelson said the defensive system was "aimed at any kind of attack coming from Iranian areas." The planned deployment of 10 interceptor missiles in Poland and a radar system in the Czech Republic could not prevent a large-scale missile attack from Russia, he said. Mikhail Margelov, chairman of the Federation Council's foreign affairs committee, said Russia seeks assurances that the U.S. is not planning hostile military moves. "We consider any American missile and any American radar in Europe as a kind of remnant of the Cold War, because many of us do have that Cold War-style mentality," Margelov said. "Many people are scared about American military activity in Europe, especially on Russian borders." Lott, the ranking minority Republican on the Senate's foreign relations committee, cited several areas where Moscow and Washington still work closely together, despite tensions, including in the fight against international terrorist groups and efforts to stop nuclear proliferation. Lott and Nelson said they also planned to discuss energy and economic issues. "The growing economy of Russia which will lift the people up to higher living standards. that's in Russia's best interest, and in America's best interest," Lott said.